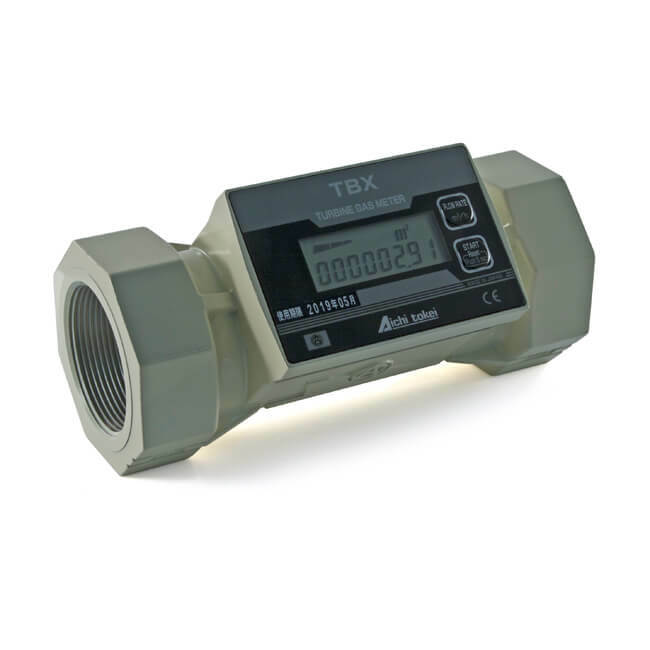 TBX turbine meter is powered by a lithium battery with an approx. life of 7 years and can be connected to a remote meter reader if required. As well as cumulative flow, the LCD will show the actual flow at a given moment as low as 0.5 m3/h, it will also indicate trip flow. Meter Seal - Wire Length 10"
The meter is ideal for monitoring gas consumption by boilers, burners, furnaces, etc. and is for indoor use only to measure natural gas, LPG, nitrogen or air. 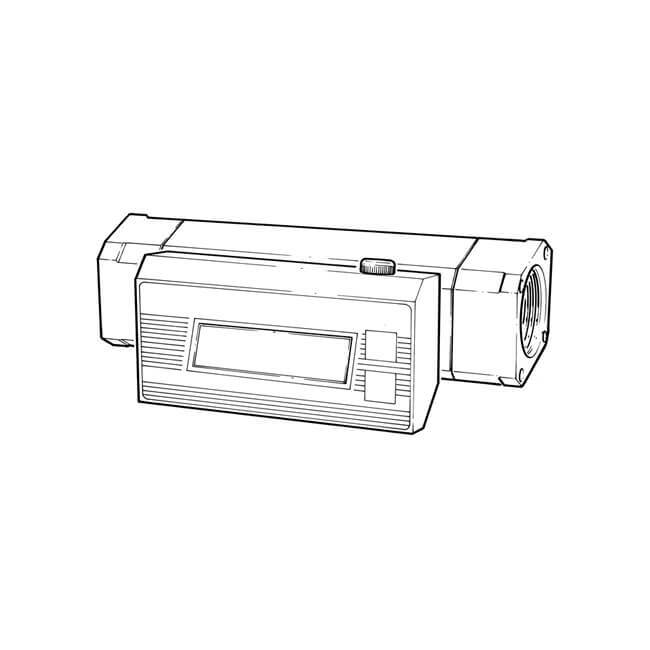 Can be mounted vertically or horizontally (Note: left to right flow is required for horizontal mounting). VELOCITY: Meter reads in cu.m/h the gas velocity can be calculated using the internal diameter of the pipe. PURGING: Instantaneous flow rate reading checks that the purge flow rate is continually above the recommended minimum.